Portfolio | Open Space Yoga | NetClimber Web Design Inc.
NetClimber Web Design has been building a business relationship since 2006. 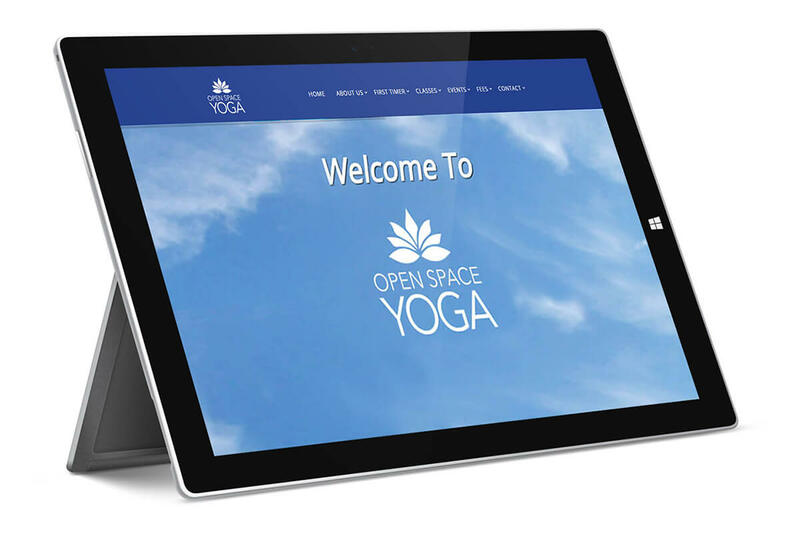 In 2015, Open Space Yoga asked NetClimber to redesign their website. The design concept created for Open Space uses a significant amount of whitespace and a rich blue, allowing users to feel welcomed and encouraged, without even stepping foot inside their beautiful studio. The new website allows for easy navigation, and to allow their customers to clearly determinate class schedules, class descriptions, instructor information, events and workshops.